This site is dedicated to providing and soliciting genealogical information (photos, documents, stories, etc.) on the family of Ole Knudsen and Johanne Pedersdatter. The Olsen Family originally came from the Hedmarken district of Norway. Hedmarken is in Hedmark fylke in eastern Norway and is comprised of the following four kommune: Hamar, Løten, Ringsaker, and Stange (see maps). Ole Knudsen Bjørkholen was born on 29 Oct 1836 at the farm Bjørkholen (a subfarm of Herset) in Romedal, Hedemark, Norway and baptized on 04 Dec 1836. He was the second of three children born to Knud Larsen Strømrudengen and Anne Olsdatter Brunstad. Peter had one older brother Lars Knudsen and one younger sister Pernille Knudsdatter. Johanne Pedersdatter Malerløkken was born on 10 Nov 1830 at the farm Malerløkken (a subfarm of Sørbryn) in Romedal, Hedemark, Norway and baptized on 12 Dec 1830. She was the fourth of four children born to Peder Christoffersen Malerløkken and Else Jensdatter Sæter. Her godparents were Ole Pedersen Herseth, Johanne Christensdatter Woldum, Ole Malerlokken, and Berthe Christensdatter Herseth. Johanne had three sisters: Inger, Berthe, and Evine. At some point in her late teens or early twenties, Johanne moved to the Snipen farm which was owned by her brother-in-law who was first married to her sister Inger and then to her sister Berthe after Inger died in 1844. Johanne was probably employed as a servant in her brother-in-law's home. Ole (age 21) and Johanne (age 27) married in the Romedal church on 14 May 1858, about two and a half months after the birth of their first child Christian. Once they were married, Ole Knutsen moved to the farm Snipen where Johanne was living. The child Christian was baptized two days after the marriage. Two more children (Pauline and Peter) were born at Snipen. Pauline was born in 1859 and lived just a little over five weeks. 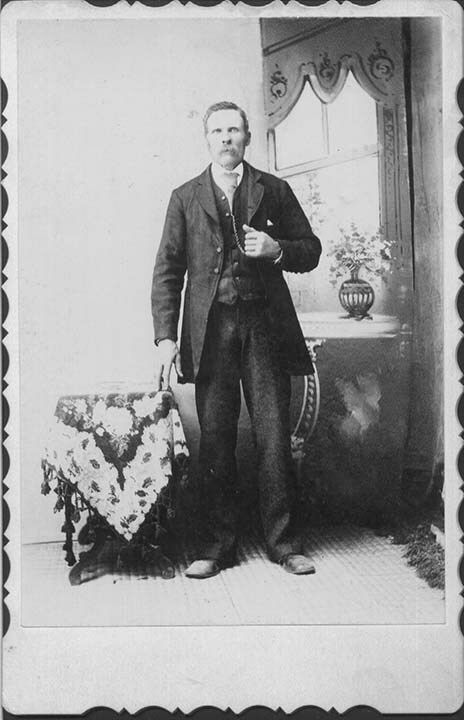 Peter was born in 1860 and was named after his maternal grandfather. On 20 Apr 1863, Ole Knutsen bought the farm Stenberg østre in Løten at an auction. Ole, Johanne, and their two sons, Christian and Peter, moved to this farm. Four more children (Anne, Else, Olaf, and Ottine) were born on Stenberg østre. Anne was born in 1863 and named after her paternal grandmother; Else was born in 1866 and named after her maternal grandmother; Olaf was born in 1867; and Ottine was born in 1908. Ole Knutsen apparently had a gambling problem. According to family tradition, in the early 1870's, Ole lost the farm in a poker game. One story is that because of this, his father became so furious that he forced the son to emigrate to America. Another explanation may be that Ole was encouraged to leave because other debts might land him in jail. The father was said to have given a ship's captain in Christiania [Oslo] a silver tankard to take his son to America. Ole emigrated in 1873, supposedly arriving in New York on 10 Aug 1873. After Ole lost the farm, the family was split up. The two oldest sons, Kristian and Peter, went to live with their paternal grandparents, Knud Larsen and Anne Olsdatter, at Bjørkholen nordre (Romedal Gnr.46, Bnr.3; Stange Gnr.255, Bnr.3). The daughter Anne went to live with her paternal aunt Pernille Knudsdatter and Pernille's husband Hans Andersen (a part-time school teacher) at Nybak (Løten Gnr.228, Bnr.6), right on the boundary with Romedal. Bjørkholen and Nybak were less than a half mile apart. According to the 1875 census, Johanne (age 45) and the three youngest children, Else (age 9), Olaf (age 8), and Ottine (age 6), were living at Sagåbakkengen (probably a small cottage on Sagåbakken nordre, not too far from Stenberg østre). 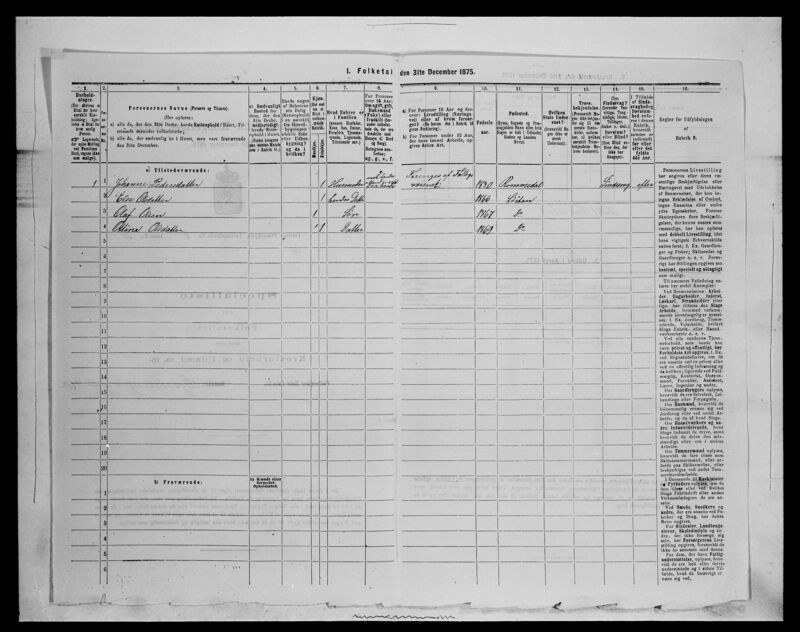 In the 1875 census, the Dyre Pedersen family was living on the Stenberg farm. 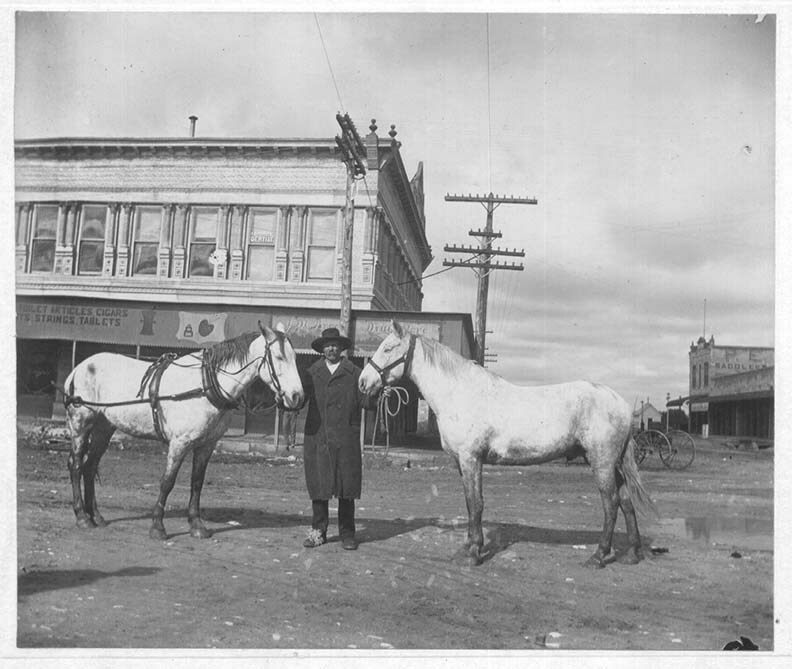 The Stenberg farm was actually sold at auction in 1885 although Ole, Johanne, and the family were no longer living there. 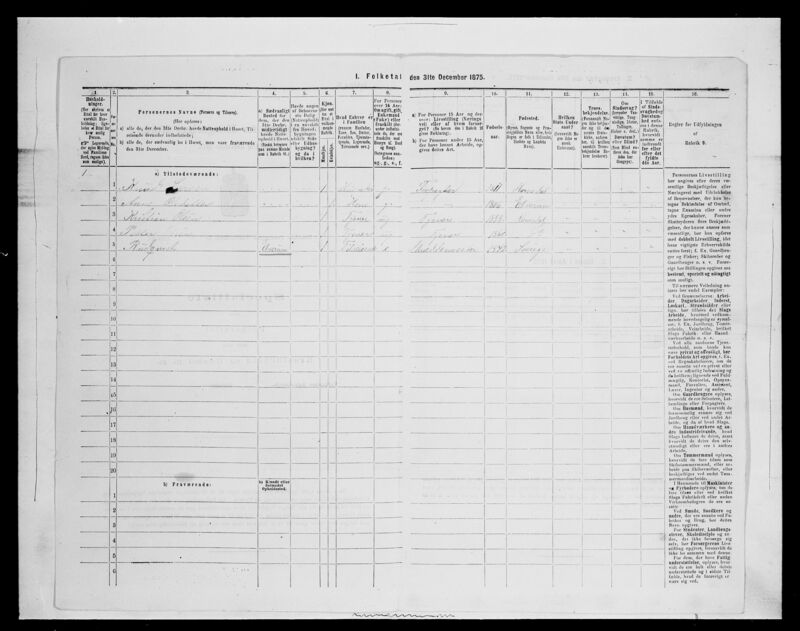 It is not clear where Ole went after he arrived in America in 1873 because he has not been located in the 1880 United States census. 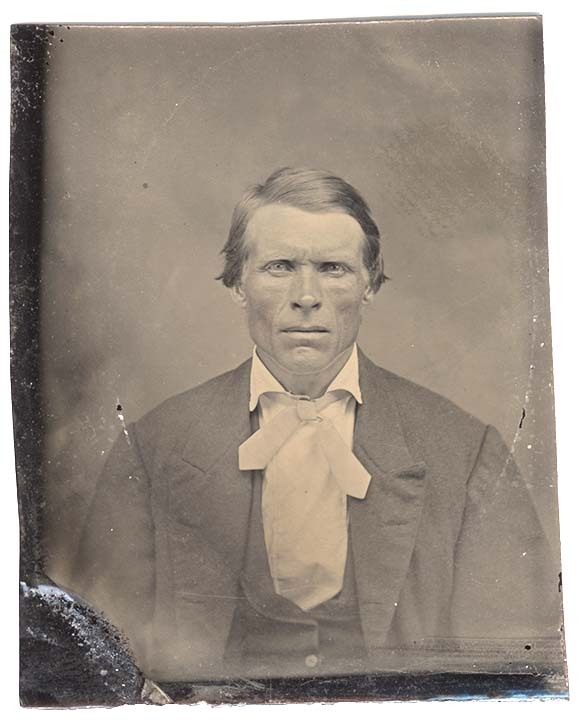 However, according to the 1900 census, he was living in Clifton, Texas with his son Peter in 1900. Ole Knudsen and Johanne Pedersdatter had 7 children. One daughter died young. Of the six children which reached adulthood, two remained in Norway and the other four emigrated to America. Only four of the children (Petter, Anne, Else, and Ottine) have descendants that are living today. Click on one of the children below to see further information on that child or on one the names in the abbreviated family tree further below.